Laidlaw Capital Markets partners with institutional investors across the United States and Europe. We provide an expert and attentive level of service, where each member has a deep understanding of both our syndicate and healthcare research products. Our expertise combined with our understanding of our clients’ investment preferences and objectives, enables us to add value during the investment process. We provide additional support to our clients by putting them in contact with management teams of public and private companies through roadshows and individual visits. In addition, we organize conferences and specialist calls to provide information and discuss issues with investors. 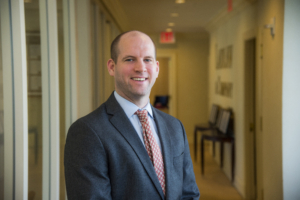 Patrick Gallagher has 20 years of healthcare experience on Wall Street including alternative investments, research and marketing in both the public and private markets. He co-founded Black Diamond Research, LLC (“BDR”), an independent sell-side research firm specializing in healthcare investing, financing and operations, serving the institutional investing community at large. Patrick was Chief Executive Officer of BDR until 2010 and oversaw institutional research and sales. Prior to 2001, he held various sales positions at Kidder Peabody, PaineWebber and New Vernon Associates. Patrick served as VP of Business Development and Investor Relations as well as a strategic consultant for Kinex Pharmaceuticals, a biotechnology firm focused on next-generation therapies in oncology and immunology. He also has served as an advisor to CHD Biosciences, a novel antimicrobial company. Mr. Gallagher serves on the board of directors of BioSig Technologies, Inc, a medical device company that is developing a proprietary technology platform in the electrophysiology space as well as Protea Biosciences, a molecular information/diagnostic company with the unique ability to provide direct analysis of cells. Mr. Gallagher received his BS from the University of Vermont, his MBA from Pennsylvania State University and is a CFA charter holder. 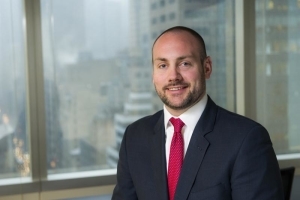 Luke Kottke serves as Senior Managing Director within the Global Equity Capital Markets group where he joined in 2011. Mr. Kottke also serves as Head of Syndicate. 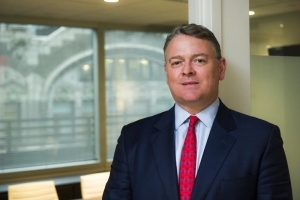 Prior to joining Laidlaw, Mr. Kottke served as Vice President on the Global Capital Markets desk at a publicly traded investment banking firm in New York City. Over his career, he has been instrumental in raising over $2 billion of capital in several hundred investment banking transactions, with a focus on the Healthcare sector, leveraging his strong relationships with buy-side investment firms across Wall Street. Mr. Kottke’s expertise in selling investment banking products and research has made him an invaluable resource to numerous banking clients. He began his career at Sonostar Capital Partners, a venture capital and private equity firm. Mr. Kottke also worked at Merrill Lynch as a financial advisor where he earned his series 7 and 66 licenses. He is a graduate of the University of Scranton and resides in New Jersey with his wife and three children. Pat O’Rourke joined the firm in January of 2016. He is Vice President for Laidlaw’s Capital Markets’ Group. Prior to Laidlaw, Pat was an Interdealer broker in the Foreign Currency Options and Commodities markets. Pat’s diverse Finance background has served as an asset to the team. Before entering the work force, Pat graduated from Drexel University, where he was a recipient of both Academic and Athletic Scholarships. While at Drexel, Pat competed on their Division 1 lacrosse team. Pat holds FINRA licenses: 3, 63, and 7.